Tori Johnson's family speak about loosing their son. "Tori was just the most caring, kind, gentle person." 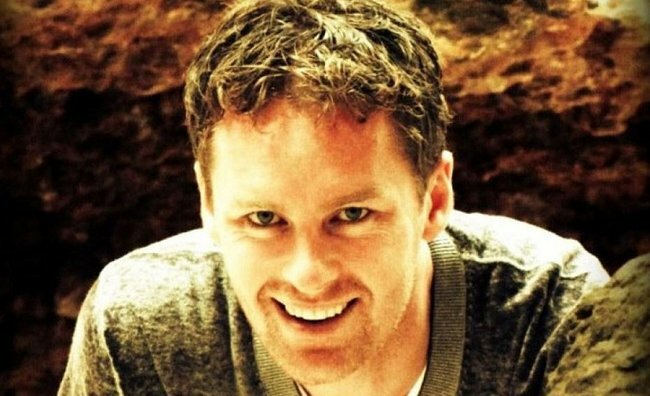 The family of Lindt cafe manager Tori Johnson, who was killed in the Sydney siege, said they “couldn’t speak” after they received the phone call informing them of his death. Mr Johnson, 34, and fellow hostage Katrina Dawson, 38, were killed when heavily armed police stormed the Martin Place building to end a 16-hour siege. Fifteen other hostages survived the ordeal. Mr Johnson’s aunt Lyn Whittaker said she received the phone call early on Tuesday morning. “The phone rang about 4:30 in the morning and it was Ken, my brother, and he said ‘they’ve killed my beautiful boy’ and he couldn’t speak anymore,” she said. “The police officer came on and told my husband that Ken couldn’t speak any more and this is what has happened. She said her nephew was a selfless person, and “everything you could wish for in a son and grandson”. “A very, very, very brave boy, everything that people have said about Tori he was just the most caring, kind, gentle person,” Ms Whittaker said. “He really was everything, he had all the qualities of just a beautiful soul. The family were told that Mr Johnson was killed when he tried to grab the gunman’s weapon. “I don’t know if he tried to take over, to protect the other people, but we were told he had a lashing first,” she said. 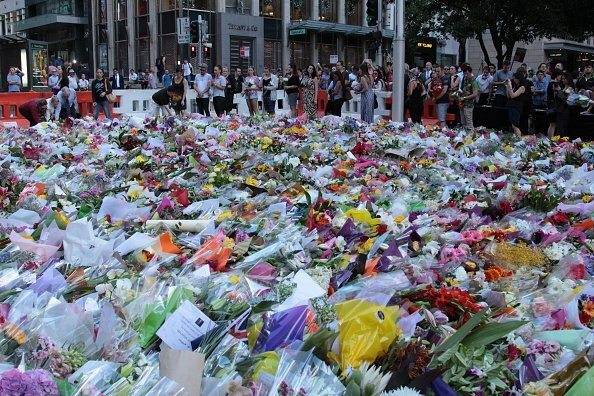 Mr Johnson’s father was among relatives who visited a memorial to victims at Martin Place in Sydney last night. He kissed flowers before throwing them onto the shrine. “It’s a very moving moment … very moving,” he said. Read more about how the events of the Sydney siege unfolded here. They were among thousands of mourners paying their respects. Prime Minister Tony Abbott has announced a review of the Martin Place siege, saying there were questions “begging” to be asked. “We particularly need to know how someone with such a long record of violence, such a long record of mental instability, was out on bail after his involvement in a particularly horrific crime,” he said. Ms Whittaker welcomed the reviews and said Monis should never have been granted bail. 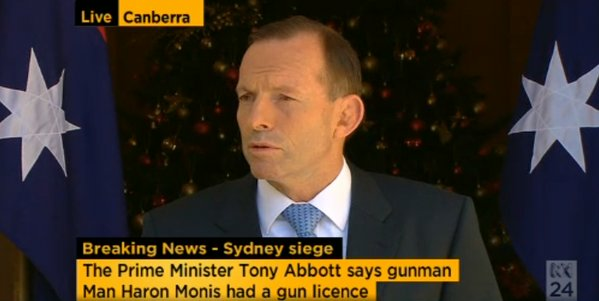 The Prime Minister has announced a review of the events leading up to the siege. “You hear about it in other places of the world but not here,” she said. “I think it’s just disturbed a lot of people because it’s happened in Australia … it’s a real shock that this has happened and we don’t want this to happen again, it’s got to stop. To read more about the man behind the Sydney siege click here. The review has nine terms of reference, including the circumstances of Monis’s arrival in Australia, why he was granted citizenship, what welfare he received, how he was able to access a gun, what information security agencies had about him and how that information was shared. It will be carried out by senior bureaucrats at the Departments of Prime Minister and Cabinet and Prime Minister and Cabinet and will report back by the end of January. The NSW Police, the Australian Federal Police and the NSW State Coroner will hold separate investigations into the siege. “Guys, I love each and every one of you,” she wrote as she waited to learn her fate.